Before I start talking about LI2PF.com and how awesome it is, welcome to my new blog design! You may have stopped by already, but this is my first post with the new design. I’m really excited about the new redesign and everything it has to offer, but I’ll write a complete post about that later. Now, on to LI2PF. I made a post last month on how to pass your keywords from LeadImpact into your affiliate links so you know what keywords and targets are converting for you. It’s really important to be able to collect that data so you can optimize your campaign and remove bad performing sources. I received a lot of great feedback from my PeerFly publishers who are using LeadImpact and weren’t quite sure how to pass that information. I also had quite a people new to the affiliate industry explain to me that they had absolutely no idea how to set up the redirect page themselves and after a few frustrating conversations, I decided to make a tool to make the whole process a lot easier. Copy, Paste, Copy, Paste, and Track! Choose the PeerFly offer you want to promote on LeadImpact and copy your Long Link. Go to LI2PF.com and paste your PeerFly Long Link then click Create Link. Copy your new LI2PF.com link. Go to LeadImpact, create a campaign, and paste your LI2PF.com link into the Landing Page URL. It’s that easy! LeadImpact will then append the ?keyword= to your LI2PF link automatically and when someone sees your pop up it’ll automatically redirect to your PeerFly Long Link with the keyword or target passed as a SubID. 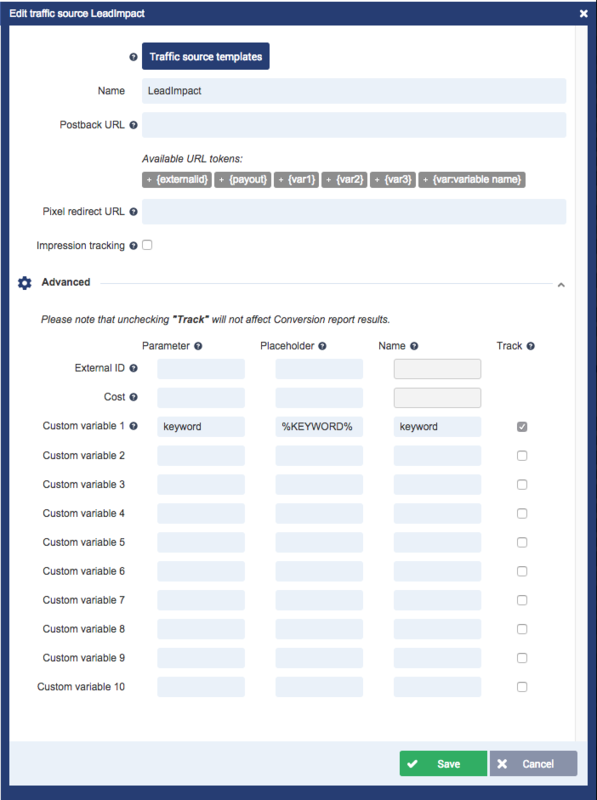 You can view a complete breakdown of each keyword/target from LeadImpact on your PeerFly Reports page and then optimize your campaign based on that information. You can find more information on how LI2PF works on the site homepage. We have already tested thousands of clicks and it’s working great. PPV is still a great source of traffic for affiliate campaigns. If you have been considering giving it a try, I suggest reading my LeadImpact review and getting started! Of course, let me know if you have any questions and let’s make some money! Thanks Luke, just what I am looking for. Been new to the industry and spending lots of time working out how to track properly has been costing me lots of money and time due to broken link, un-tracked conversion and lots of frustration understanding how it work. Thank You so much for this tool! hi Luke Well your the Man another great blog post with good info I allways bookmark your blog post and read them properly over the weekend when i have more timeI really appreciate the work you do to help struggling affilites I like your information on 7search for getting traffic to marketing pages. Also, how about looking at the possibility of integrating this with landing pages too…. this I say because from all that I have read, LP’s have almost become a necessity with PPV now. Thanks for the great tool mate….. truly appreciated. Luke you’re such a great person. Thank you for this tools I think they’ll help me a lot to make money at this time!!!. Kind Regards Luke…. Great tool Luke. Just a quick question. When using the LI2PF.com link, is it still necessary to click the “keyword pass-through” check box when creating a campaign on Leadimpact ? Yes, it’s still necessary to do that. i’m using this tool but still not seeing where the traffic is coming from in my peerfly stats. I am using a landing page rather than direct linking in my LI campaign. Is that the problem? do i need to remove all the steps between Lead Impact and LI2PF.COM in order for it to show the reffering keyword in my peerfly stats? Does LI2PF only work with direct linking? I’m interested in the answer to Saif’s question also. If i use the LI2PF direct link. It will not show the whole landing page since the pixel size on LI popup is 775×400. Will it affect the conversions? Yes, LI2PF is a simply solution for direct linking, but if the landing page doesn’t look good in the window you’re much better off creating your own PPV optimized landing page. Not unless you are passing ?keyword into your LI2PF link on your landing page. The Software works great and I can see my Subids in the Peerfly report. What do I need to put into the Tracking Pixel to show that conversion in my LeadImpact stats. Luke, The big advantage of using the LI2PF.com link is to track the performance of each keyword/target directly in PeerFly. However, one thing I just noticed is that the raw click number in PeerFly reports is always lower than the impression number as reported in LeadImpact. Sometimes the total raw click number can be as few as only one tenth of the total impression number. Such a situation undermines the usefulness of the LI2PF.com link in tracking. Could you explain why there is such difference between the PeerFly raw clicks and the LeadImpact impressions? Every “click” that hits the PeerFly hop link will be counted on your account as long as the user is from the offer’s Allowed Countries. So, the user is either closing the pop up window before it hits the PeerFly hop link or they live outside of the offer’s Allowed Countries. Luke, I have tracking software (prosper 202), it’s tracking clicks, but not conversions. Any idea how to fix that? Do I need to add something to my postback link? Hi Luke, i recently used LI2pf, i have one question, i used it as a thank you page on my AR, is this going to work? am i going to be able to the my kw/url’s? No, you would need to promote that in. Did you use your trkur.com link? What can I append to my Voluum tracking link to make sure I am importing LI keywords? When I check their “track keywords” box it doesn’t do anything.